When you see a doctor or other provider you will be asked to show your LifeWise insurance card as proof that you are insured. You will receive your LifeWise card at your local mailing address on your MYUW account. 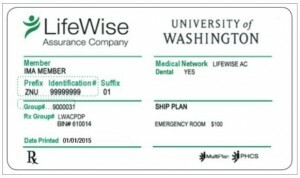 Your LifeWise card will arrive in the mail 1-2 weeks after the start of coverage or the date you registered, whichever date is latest. LifeWise will only send you one card when you first enroll in ISHIP. You may use this card for your remaining time at the UW. Make sure that your local mailing address is correct on your MYUW account. 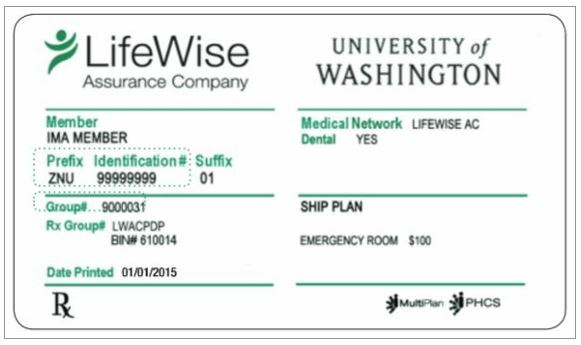 This address must be in the U.S. for you to properly receive your LifeWise insurance card and documents from LifeWise. Log into your LifeWise portal account to request that a new LifeWise card is mailed to you. If you have not created your LifeWise portal account, please refer to the directions in the LifeWise welcome email you received shortly after you registered. Ask representative for your member ID number and request that they send you an insurance card to your local address. Verify that the representative has your correct local address. Upon request, it will typically take 3-5 business days to receive your LifeWise insurance card. You may use your member ID number immediately on the LifeWise Portal to create your account and print off a temporary insurance card to use if you need to see a doctor. Q: I called LifeWise but they don’t have my current address, what do I do? Make sure that your local mailing address is correct on your MYUW account. If you recently changed your address in the past 1-2 days, LifeWise may not have received your update yet. Provide the LifeWise representative with your correct address and ask they send your LifeWise insurance card there. Q: I called LifeWise but they told me my insurance coverage is not active. You must register for quarterly classes to activate your ISHIP coverage. If you registered for classes in the past 1-2 days it may take an additional 1-2 days for your coverage to show up as active with LifeWise. You will receive a welcome email from LifeWise Assurance when your coverage has been activated.